Located between Sri Lanka and southwest of India, the Maldives is one of the most romantic destinations around the world. Couples can enjoy pristine white beaches, experience the amazing marine life, and see the crystal blue sea. One of the best activities there is snorkeling during the and having champagne at night while watching sunset. Casablanca has sweeping desert, charming villages, pristine beaches, and stunning mountains. Morocco promises a very special adventure for couples and you have to find out what it is. This is self-explanatory as to why Rome is a romantic destination. It offers old-world charm while strolling along the streets with impressive architecture. Couples can enjoy some incredible gelato before visiting the lush and green Borghese Gardens. After the garden, lovers can visit the Borghese Gallery with lots of incredible arts from famous artists such as Raphael, Bernini, and Caravaggio. Kyoto is considered as tranquil destination for lovers. It offers lovely gardens such as Botanical Gardens. If you’re looking for breathtaking verdant spaces, Kyoto the city for you. Couples can also witness the famous cherry blossom trees during spring time. Alongside with it is the flowers, spaces, and greenhouse. Kyoto also offers sightseeing of temples and relaxing public baths. Marrakech may not be on your list but it’s worth considering on your list. This Moroccan city offers a lot of amazing adventures for couples. They can explore the various markets, watch the snake charmers, and book your lodging in the boutique hotels known as “riads”. Marrakech offers breathtaking landscape of Sahara Desert, Atlas mountains, and palm trees. Beautiful and secluded beaches are the offerings of Kauai. Aside from the beach, couples can enjoy seeing pristine gardens, impressive waterfalls, and great resorts. Couples can spend the day in the remote beaches scattered along the island or just lounging in the pool of resorts. The land down under has a spot in this list too. A long stroll on the beach is a romantic way to spend time with your significant other and Gold Coast of Australia can give that kind of experience. Couples can enjoy more the breathtaking views during the off season. Recommended activities are romantic dinner, bicycle rides, and exploration of other homes along the Gold Coast. New York City is one of the most popular settings in Hollywood movies and TV series. 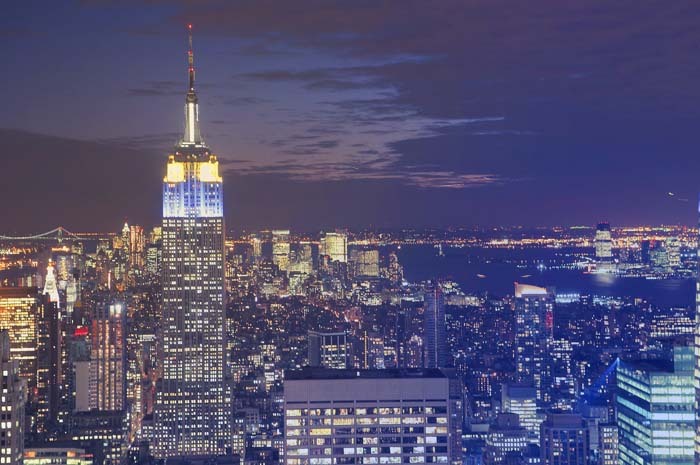 It has numerous unforgettable spots for proposals like the 86th floor of the Empire State Building, Central Park, and the Rockefeller Center’s observation deck. New York city may be a cliché place but it still provides a romance. You want to experience magic? Plan a couple’s travel to Iceland. It is one of the best countries because you can see and experience the Northern lights or known as Aurora borealis. To experience these phenomenal incredible lights, the best time to visit Iceland is during the colder months – November to January. Dress warmly to enjoy more the northern lights experience. Are you fond of European cities? If yes, Bruges of Belgium is the one for you. This old world European city is just one hour away via train from Brussels. Its 13th-century village features cobblestone streets, misty canals, and pristine Gothic architecture. Bruges also offers medieval streets, quaint houses, and windmills. Couples may also try the beer brewed Lambics and Belgian waffle with powdered sugar. If you’re into arts, you can check collections of Flemish artworks. If you’re into chocolates, you will find yourself indulging into 50 different chocolate shops inside the city. Let’s go to Asia now. Bali is known for its impressive temples, white-sand beaches, ever-green rice fields, and mighty mountains. The enchanting Bali offers romantic experiences for couples. Couples can book a cabana and dine in with turquoise blue waters view. There is also couple’s spa package, guided tour to experience strolling in the rice paddles, exploration of magnificent Indonesian island. Do you want to see a dramatic mountain views as well as coastal scenery? Then Scotland’s The Isle of Skye will definitely give you this. It’s like you’re in a fantasy-like landscape with your loved one. Activities include a day-hike in the majestic Quiraing or availing guided tour in the Dunvegan Castle. What makes the more romantic? Watching the sunset with spectacular evening sky together. It’s a relaxing activity for the couple. This India state is popularly known for its palm-lined beaches and backwaters. Kerala offers pristine beaches along with lush tropical forests. Couples can spend a relaxing day by going to the state’s popular renowned spas, where they can get a lot of spa treatment such as oil massages and natural restorative treatments. Visiting the northern part of will give you the best seclusion you are looking for. Northern Kerala is not really big for tourism but it offers breathtaking views of rolling hills and tea plantations. Moreover, couples can take a cruise its backwaters to see the close-up views of lotus-flowered rice paddies and verdant coconut groves.